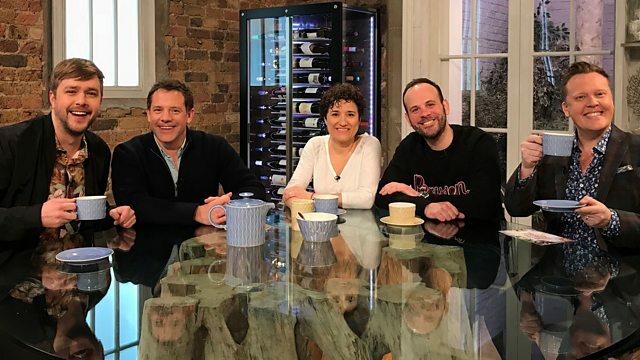 Matt Tebbutt is joined by chefs Greg Marchand and Nieves Barragan Mohacho and special guest Iain Stirling. Olly Smith picks the wines to go with the studio dishes. Matt Tebbutt is joined by chefs Greg Marchand and Nieves Barragan Mohacho and special guest Iain Stirling. There are great moments from the BBC food archive, including clips from Rick Stein, Raymond Blanc, the Hairy Bikers and Nigel Slater. Drinks expert Olly Smith picks the wines to go with the studio dishes.